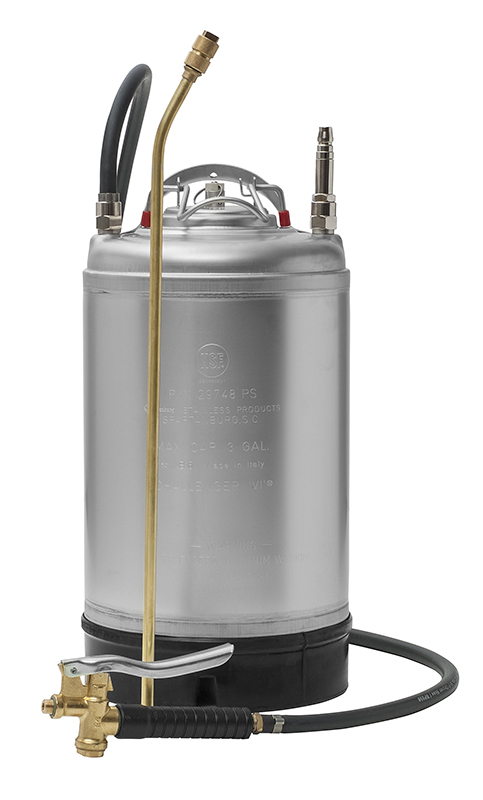 12L air operated stainless steel tank. It is specially designed to apply the construction sealers in a uniform pattern or degreasers. No more manual pumping - Just connect it to an air compressor.12 lit. Stainless steel tank. Solvent resistant seals. It has a large oval opening for filling NBR/VITON seals. Working pressure: 9.5bar / 130psi. Easy click-on lid. Heavy duty nylon trigger & lance with brass flat fan special nozzle. US standard approved. Auto & manual safety pressure release valve. 2.0 m Super flex solvent resistant hose.